Located in the heart of South-West France, our vineyards stretch out over a uniquely rich terroir from the foothills of the Pyrenees to the rolling hills of Gascony. 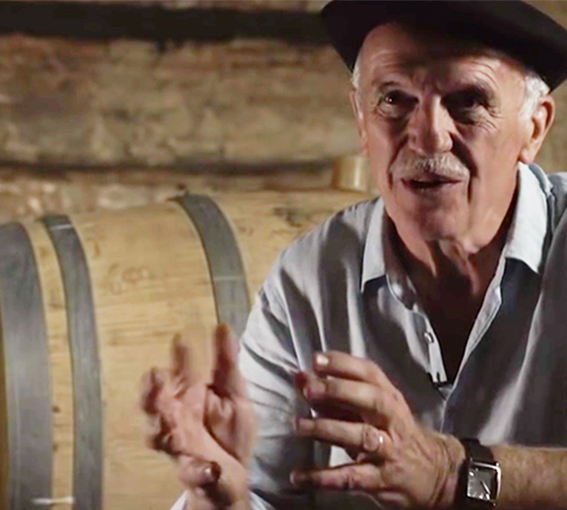 It all began in the mid-1970s when André Dubosc – a third-generation wine grower – set out to build up the reputation of the wines from their region of South-West France. He and other passionate young winegrowers fashioned local dry white wines (now a PGI: Côtes de Gascogne), revived the Saint Mont appellation and gave a new breath of life to the Pacherenc du Vic-Bilh, made from late-harvested grapes. In 1979, these women and men, who put their heart, soul and know-how into producing the best the terroir could offer, decided to strengthen their foothold by uniting their wine cellars and estates. And so they set up the Plaimont union of cooperatives (“Pl” for Plaisance, “Ai” for Aignan and “Mont” for Saint Mont). From the outset, Plaimont acquired the region’s finest châteaux and estates to rebuild those iconic vineyards and give a new impetus to the region. 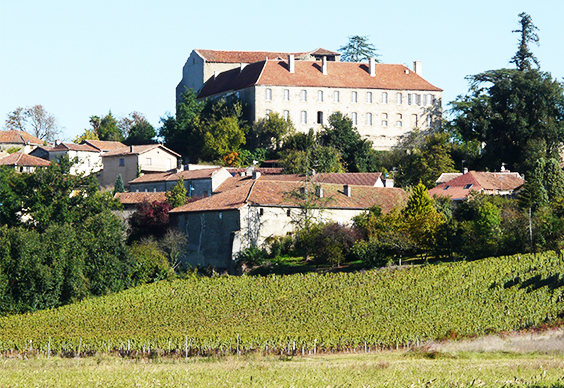 The Cave de Condom and many smaller wineries joined Plaimont to support its development. The people of Gascony are proud and genuine; they enjoy revealing and sharing the essence of their identity. Discovering our Saint Mont, Madiran, Pacherenc wines is discovering the soul of Gascony. 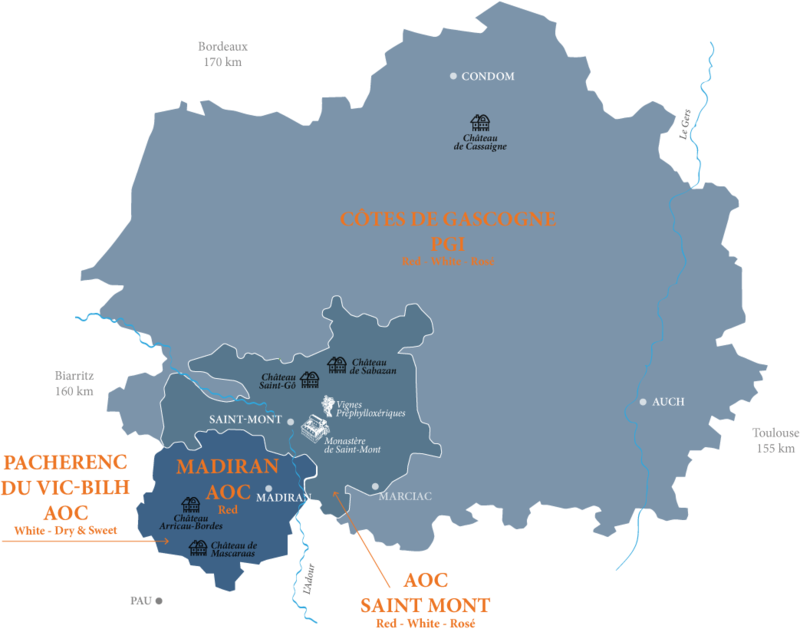 98% of the Saint Mont appellation (red, white and rosé), 55% of the Madiran appellation and Pacherenc du Vic-Bilh appellation and almost half of the Côtes de Gascogne PGI. Plaimont has become a leader in wines from South West France over just a few decades. Its plant heritage (parcel of vines registered as a Heritage Site, Ampelographic Conservatory) and built heritage (Château Arricau-Bordes, Château de Sabazan, Château Saint-Go, Saint-Mont Monastery, Domaine de Cassaigne, etc.) are a testimony to the excellence of Plaimont production. In 1979, three wine cellars in the towns of Plaisance, Aignan and Saint Mont, combined their forces …and their initials (PL for Plaisance, AI for Aignan and Mont for Saint-Mont) to create a union of cooperatives, which rise to Plaimont in Saint-Mont, in the Gers. Another major wine cellar, Condom (the Côtes de Gascogne and Côtes du Condomois PGIs) joined them in 1999.